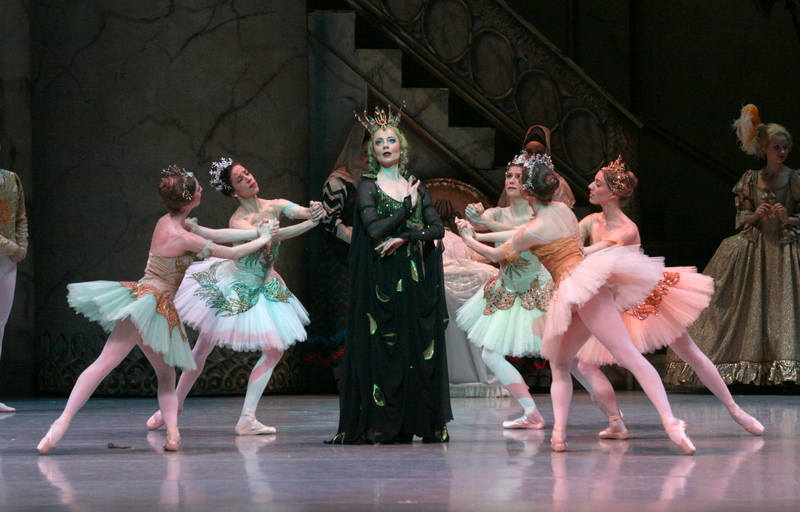 Kateryna Sellers and Company in The Sleeping Beauty. Photo by Wade Bell. Entire contents copyright © 2017 Valerie Canon. All rights reserved. The closing production of Louisville Ballet’s 65th Anniversary seasons started with a curtain speech by the current director, Robert Curran and included statements by past directors Bruce Simpson and Alun Jones. It was a wonderful tribute to an amazing history. “The Prologue” shares the christening of the baby Aurora. The court set and costumes (Alun Jones and Peter Farmer) for the ballet were lavish and opulent. It’s gold tones give the impression of grandeur. It was truly breath taking. Five fairies and their Cavalier’s along with the Lilac Fairy, the forever regal Helen Daigle, and her attendants performed beautifully. There were a few bobbles and tepid moments, but that could just be chalked up to opening night jitters. Kateryna Sellers’ portrayal of Carabosse was brilliant. She dominated the stage during her brief appearance. Act I “The Spell”was the first introduction to a dancing Aurora. Natalia Ashikhmina performed the role as if it had been designed specifically for her. Her execution and acting were spot on as the young princess celebrating her birthday. The Rose Adagio was beautiful. The attitude promenade that makes this section famous was handled beautifully by Ashikhmina and the four princes, Roger Creel, John Aaron Brewer, Kristopher Wojtera, and Brandon Ragland. The corps de ballet (performing as Aurora’s friends and Garland dancers) were the strongest they’ve been this season in the classical works. Act II began with Scene I,“The Hunt”. This scene does little to continue the narrative, but it does introduce Prince Florimund, Mark Krieger. There were a series of fun and joyful character dances. The second scene of Act II was a highlight of the evening. In Scene II “The Vision”, Prince Florimund is shown a vision of the Princess Aurora by the Lilac Fairy, and this section was absolutely exquisite in every aspect. The corps de ballet had precision and worked in wonderful unison. Ashikhmina and Krieger had many a fine moment together. 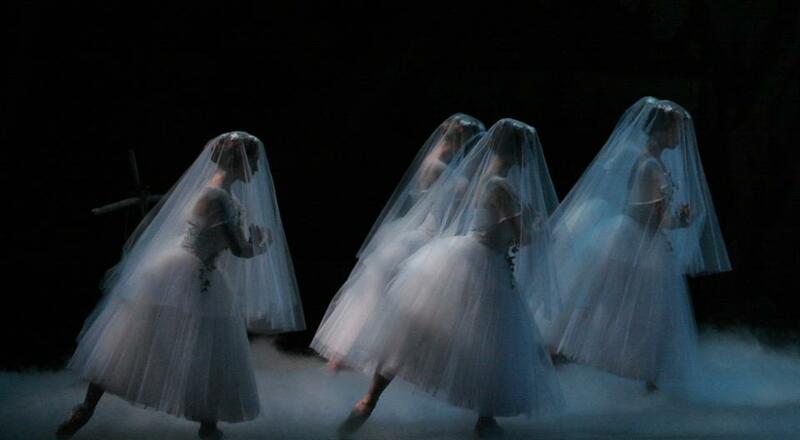 This scene is often overlooked, but is truly one of the most stunning of the ballet. Scene III “The Awakening”. It is brief and fairly anticlimactic, as Carabosse is sent off the stage with a wave of the Lilac Fairy’s wand. However, the princess is awoken (by a kiss on the forehead which was a bit disappointing). Act III “The Wedding”. Probably the most famous act of this ballet. With fun characters in attendance such as Puss in Boots and the White Cat, The Bluebird and Princess Florine, and a host of other fairy tale characters, it’s no wonder. Ryan Stokes and Erica De La O wonderfully performed the Blue Bird Pas de Deux and the following variations masterfully; they seemed to light up the stage with their energy. Rob Marrow and Jordan Martin as the Cats were delightful and an audience favorite. The Red Riding Hood and the Wolf variation was exempt from this production which was disappointing, but not a major loss as the ballet is already a long one. The Grand Pas de Deux performed by Ashikhmina and Krieger was lovely. Passionate and sweet. The final Mazurka concluded the ballet. It was a delightful evening. 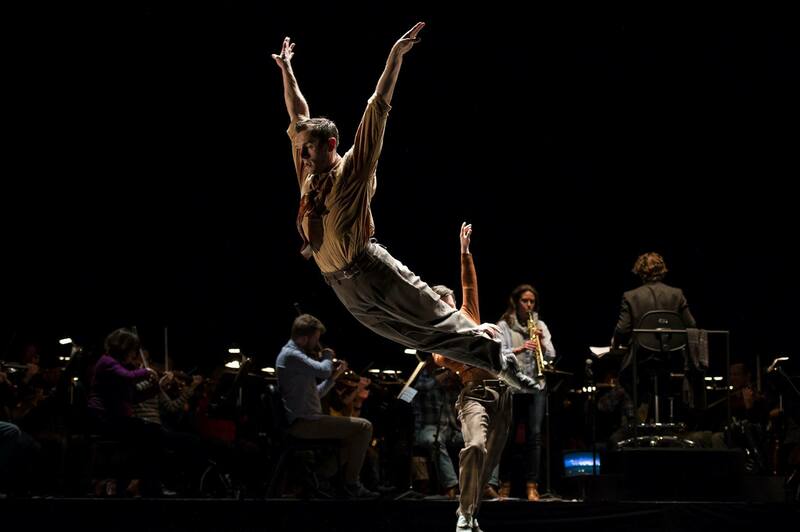 Louisville Ballet showed it’s mastery of one of the greats. Congratulations on your 65th Season. Here’s to another 65 years of professional ballet in Louisville! Valerie Canon is an actor, director, dancer, model, and choreographer based in the Greater Louisville area. Mrs. Canon received her BFA in ballet performance from Oklahoma University in 2004, and has performed in ballets around the country as a principal, soloist, and corps de ballet member. 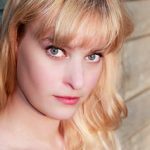 She recently directed Unhindered and Ungendered 2017: Once Upon A Spinning Wheel for Wayward Actors Company in January 2017.